The feature article also included reference to the “B2B Ranch” in Fall City, Washington. This was the namesake for Seattle Mariner’s outfielder Jay Buhner who was known as “The Bone” (derived from the song “Bad to the Bone”). RSIR broker Sam Cunningham of Citrone was responsible for the $5 million sale of this 9,500- sq. ft. home as blogged about last December among the top sales of the year (especially for non-waterfront). Crab-fishing mogul Tim Kennedy bought the property (and the property name) with plans to keep it, according to Cunningham. Pictured above: A 9,500+ sq. 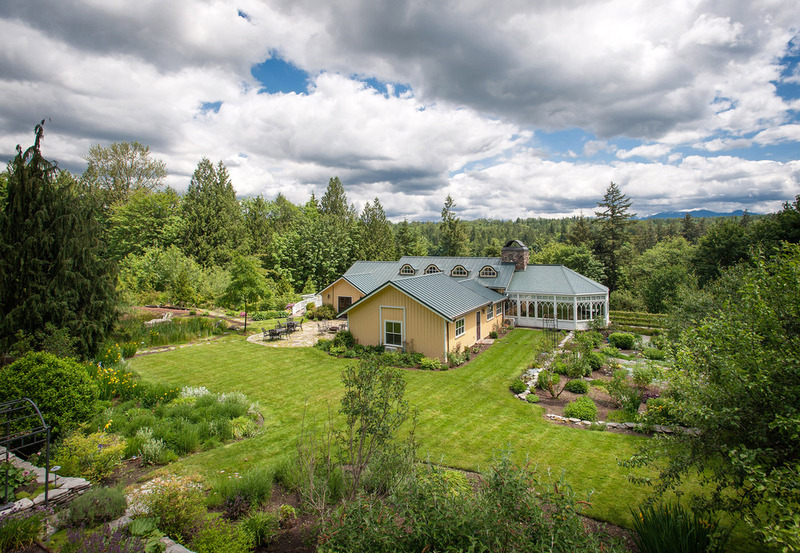 ft. estate in Fall City was sold by RSIR $5,000,000 – among the highest price paid for non-waterfront acreage in King County since 2000. Photo courtesy of Jen Harper and Kara Wiper, listing brokers, Coldwell Banker Bain. Jones generally supports property names provided the residence warrants that approach and the name is appropriate. However Jones thinks that a bad name could erode value. His pullout quote in the Wall Street Journal states “Tongue-in-cheek names should be reserved for boats and beach bars – not luxury real estate”. One of Jones’s favorite property names is the Storybook Farm, yet another listing represented by Citrone at RSIR. The seller is Phil Condit of Boeing fame, who designed it as a “grandchild trap” and the name lives up to the fantasy. The sprawling estate features a life-size train and western village, a trout pond, waterfalls and a massive game room and theater. But wait, there’s more. Trap doors, hidden rooms, a vineyard, a perfectly planned snack garden (blueberries, peaches, strawberries along a winding trail lead to a playhouse), miles of hiking trails and quite possibly the world’s most beautiful chicken coop make this a great place to be a kid. Such names can be highly effective for marketing purposes, agrees Andrea Savage, Marketing Manager for RSIR. A favorite motto at RSIR is: “If you don’t ring true online, don’t expect your phone to ring,” Savage reminds brokers. Discover your own private sanctuary unlike any other place on earth. A destination so remarkable – hummingbirds migrate thousands of miles each year to nest upon this natural haven. Perfectly centered between the conveniences of Sitka and Juneau in Southeastern Alaska, Hidden Bay awaits your discovery just three hours from major West Coast cities. A personal retreat gently sited upon more than 45 acres (8 fee-simple lots) behold nearly a kilometer linear feet of private shorelines protected by a National Monument that surrounds you.